Posted April 11, 2019 in Travel Announcements, Travel System. All Travel Arrangers are invited to attend an informative Travel Fair to be held at the Union Saltair Room on Monday, April 22, from 11am to 1pm. Travel & Reimbursement Services will be available to answer your questions about the new “UTravel” system that is coming in the upcoming months. Find out how the system works, how to get trained, and what you need to know to convert your department users. Our contracted travel agency, Christopherson Business Travel, has invited key vendors to answer your questions, tell you about services available to you, and give away prizes. Posted March 26, 2019 in Travel Announcements, Travel System. 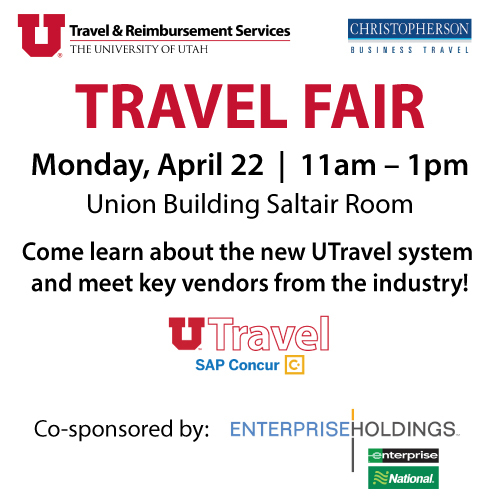 Travel Arrangers are invited to attend an informative Travel Fair to be held at the Union Saltair Room on Monday, April 22, from 11am to 1pm. Christopherson Travel has invited key vendors to answer your questions and tell you about services available to you. Travel & Reimbursement Services will be available to answer your questions about the new “UTravel” system coming in the upcoming months. This is an exciting opportunity to network with colleagues and vendors, find out about exciting changes and enjoy a treat! 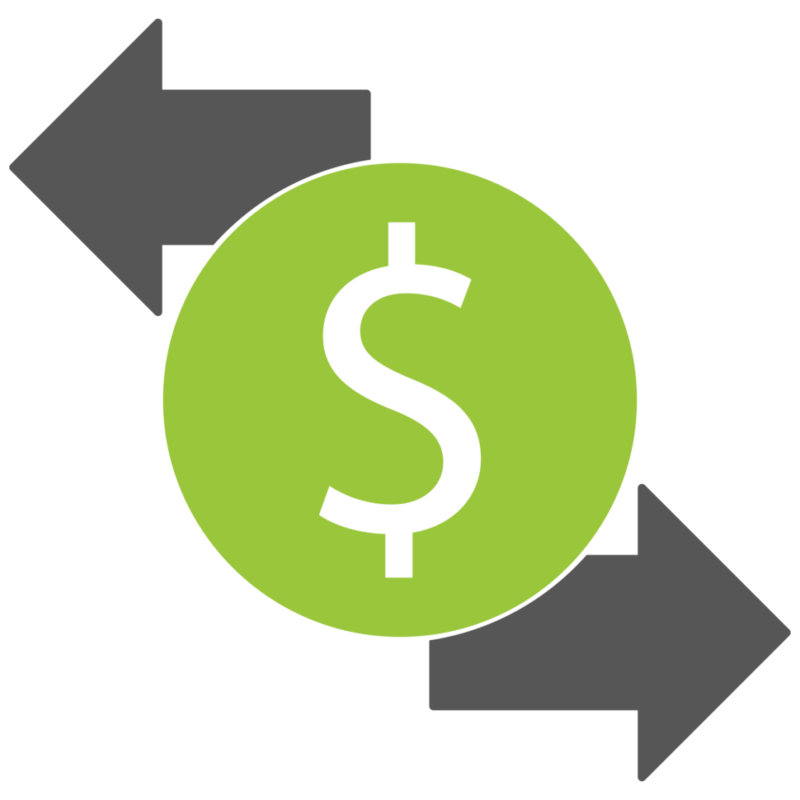 Effective March 1, 2019, the University Onsite Travel Agents will begin to charge university departments a $30 fee for airline exchanges. This new fee will better conform with industry practices and will more appropriately charge departments for the work done by our travel agent staff. These fees will be charged to the same chartfield given to the agents on the original ticket. Our Onsite Travel Agents are charging this fee as directed by the Travel & Reimbursement Services Department. Any questions should be directed to the Travel Department at 1 – 7274.